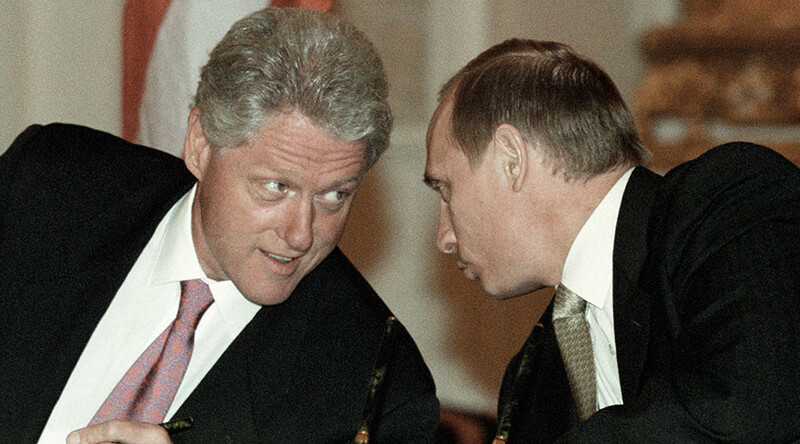 Russian President Vladimir Putin once suggested to then-US president Bill Clinton that Russia join the Washington-led military alliance, Putin said in an interview with American film director Oliver Stone. “I remember one of our last meetings with President Clinton, when Clinton was still in office. He visited Moscow and during a discussion I said, ‘So, what if [we] consider an option of Russia maybe joining NATO,’” Putin said in one of his conversations with Stone. While Clinton replied that he “didn’t mind,” the rest of the American delegation became visibly nervous, Putin went on to say, smiling. NATO officials could not confirm or deny if such discussions ever took place, TASS reported on Saturday. Having contacted the alliance asking for comment, the news agency was told that NATO is not privy to any information on the matter. Putin on Showtime from Daniel Lippman on Vimeo. The conversation was posted on Vimeo by Daniel Lippman as “an exclusive preview clip” of an upcoming Showtime series on the Russian leader. It is said to be part of a four-night special documentary project, ‘The Putin Interviews,’ set to premiere on the American cable network on June 12. In a separate interview in the preview, Putin called NATO “an instrument of America’s foreign policy,” saying that the US-led alliance “has no allies, but only vassals.” According to the Russian leader, some member states find it hard to resist Washington’s pressure, and thus “anything can be easily placed” on their territories, including both anti-missile and offensive systems. “And what are we supposed to do? Due to that, we have to take counter measures,” Putin told his American interviewer. Promoted as “the most detailed portrait of Putin ever granted to a Western interviewer,” it will feature interviews between the director and the Russian leader that were made during several encounters over two years.